Dr Rico Merkert is Associate Professor in Aviation Management at the Institute of Transport and Logistics Studies at The University of Sydney Business School, Australia. He has various leadership roles at ITLS, was Deputy Chair of the ITLS Graduate Program from 2012-2014 and is now Director of the ITLS Higher Degree by Research Program (Progressions). Rico is Editor-in-Chief of the Journal of Air Transport Management (JATM), an Associate Editor of the Journal of Transport and Supply Chain Management, a Fellow of The Higher Education Academy (FHEA) and an appointed member of the U.S. Transportation Research Board (TRB) standing Committees on a) Aviation Economics, b) Air Cargo and c) Light Commercial and General Aviation. Whilst being a Marie Curie Research Fellow at the Institute for Transport Studies at the University of Leeds he undertook and received a PhD in Transport Economics. His PhD and also more recent studies were heavily influenced by a research visit at Hass Business School and various meetings with Nobel Prize winner Professor Oliver Williamson. Rico has taught at various high profile institutions including Cranfield University, where he was a Lecturer in Air Transport Economics and Management and Head of the Centre for Air Transport in Remoter Regions, before joining ITLS/The University of Sydney in March 2012. 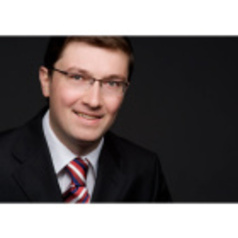 He has been involved in a number of projects on benchmarking, transport economics, policy and management (including strategy, organisation, finance and M&A) for a range of clients such as the European Commission, Transport for NSW and a number of major airlines. Most of his recent projects focused on the management of various elements of the aviation and international freight transportation chain as well as economic impact and efficiency analysis of airlines, airports and cargo businesses.